Kemba Walker had 18 points and eight rebounds, and the Charlotte Bobcats ended an 18-game losing streak with a 91-81 win over the Chicago Bulls on Tuesday. 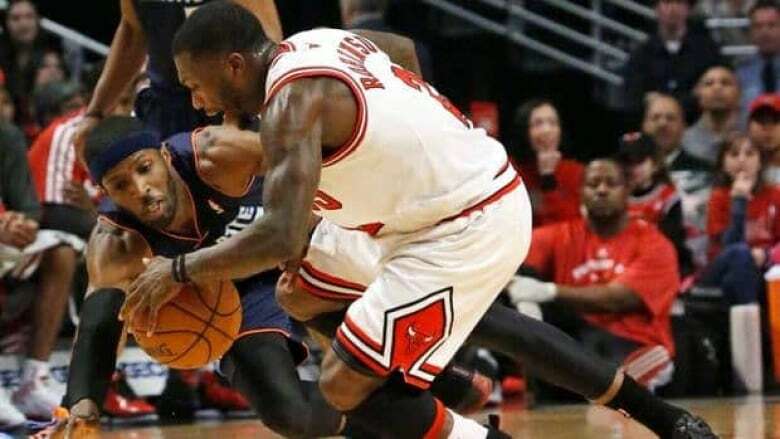 CHICAGO – Kemba Walker had 18 points and eight rebounds, and the Charlotte Bobcats ended an 18-game losing streak with a 91-81 win over the Chicago Bulls on Tuesday. Gerald Henderson added 16 points and reserve Ben Gordon had 15 to help Charlotte snap the second-longest skid in team history. It was the Bobcats' first win in their last 10 road games. Luol Deng scored 20 points and grabbed 12 rebounds for Chicago. Carlos Boozer also had a double-double with 19 points and 14 boards. Charlotte fended off several rallies by the Bulls, who never held a lead, to win for the first time since Nov. 24. INDIANAPOLIS – Paul George had 21 points, six rebounds and five assists to lead the Indiana Pacers to an 88-83 win over the Memphis Grizzlies on Monday afternoon. DJ Augustin had 17 points and six assists and David West had 13 points and nine rebounds for the Pacers, who have won five of the last six games. Zach Randolph had 21 points and 15 rebounds and Marc Gasol had 13 points for the Grizzlies, who have dropped three of the last four. West scored the go ahead three throws with 6:09 to play to give the Pacers a 72-71 lead after trailing by as much as 10 in the second half. Indiana played without starting point guard George Hill, who suffered a right thigh contusion in a game against the Phoenix Suns last week. ORLANDO -- LeBron James had 36 points, 11 assists and eight rebounds, and Chris Bosh scored 22 points to help the Miami Heat slip past the Orlando Magic 112-110 in overtime Monday. James scored eight points in overtime, including two free throws that clinched it with 1.5 seconds left. Dwayne Wade, who had 21 points, had a dunk with 6.2 seconds to go to give Miami a four-point lead. Arron Afflalo scored 28 points for the Magic and J.J. Redick added 23, but he committed the turnover that led to Wade's decisive dunk. Nikola Vucevic had 20 points and 29 rebounds as Orlando lost its sixth straight. James scored on a driving layup with 1:07 left in the extra period to give Miami a 108-106 lead. He missed a shot from the top of the key, giving Orlando a chance to tie, but Shane Battier stole a cross-court pass from Redick and fed Wade for his late slam. Josh McRoberts cut it to two with two seconds to play, but James sealed it at the line. HOUSTON — James Harden had 28 points and the Houston Rockets rebounded from their worst loss of the season with a 123-104 win over the Atlanta Hawks on Monday night. The Rockets were coming off a 30-point defeat by Oklahoma City and had allowed at least 120 points in their last two games, both losses. On Monday night they used a 16-0 run in the second quarter to build a big lead and hold on for the win. SAN ANTONIO — Tony Parker had 20 points and the San Antonio Spurs held the Brooklyn Nets to only five points in the third quarter en route to a 103-73 win Monday night. Tim Duncan added 15 points and Nando DeColo had 11, while Kawhi Leonard, Tiago Splitter and Matt Bonner chipped in 10 apiece for San Antonio (25-8), which went 9-0 at home in December. MarShon Brooks had a season-high 16 points to lead New Jersey (16-15), which suffered its first loss under interim head coach P.J. Carlesimo. Joe Johnson added 12 points and Brook Lopez had 11, but Deron Williams was held to eight points and one assist. San Antonio set a franchise low for fewest points by an opponent in the third quarter when it held Brooklyn to 10 percent shooting (2 for 20). The Nets missed six 3-point attempts in the third and also had seven turnovers. OKLAHOMA CITY — Kevin Durant scored 30 points, Russell Westbrook returned from a cut above his eye to finish with 24 points, nine assists and seven rebounds and the Oklahoma City Thunder beat the Phoenix Suns 114-96 on Monday night. Oklahoma City extended its home-court winning streak to 12 games, longest in the NBA, and won on New Year's Eve for the fifth straight year since the franchise moved from Seattle. The Thunder closed 2012 by winning 15 of their last 17 games. Luis Scola scored 24 points to lead Phoenix, which dropped its sixth straight game and fell to the Thunder for the seventh straight time. The Suns haven't beaten Oklahoma City since December 19, 2010. LOS ANGELES — Jrue Holiday had 26 points and 10 assists, Evan Turner added 22 points and 13 rebounds, and the Philadelphia 76ers beat the Los Angeles Lakers 103-99 on Tuesday night. The Lakers (15-16) have matched their worst start after 31 games since the 2002-03 season, when they began defence of their third straight NBA title with a 12-19 record. Kobe Bryant, who shifted from shooting guard to small forward five games ago in coach Mike D'Antonio's redesigned rotation, led the Lakers with 36 points. Steve Nash added 12 points and 10 assists. Down by nine with just under 3 minutes to play, the Lakers closed to 99-97 on Bryant's 3-pointer with 1:28 left. But Spencer Hawes responded with a 21-footer 16 seconds later and Holiday helped close it out on a driving dunk with 22.4 seconds on the clock.